This is a draft excerpt from my new, forthcoming book about turning your music into a full time career. Each the end of each chapter, I also offer up specific activities that can put these ideas into action. I’d love to hear any thoughts or feedback below! Return on Investment: What is the cost or effort required to break into this market? Is the return on investment worthwhile or would you be better off using those resources to grow an existing market? Goals: What kind of role will this market play in your S.M.A.R.T.E.R Goals? Barriers to Entry: What are the biggest challenges or costs that you need to overcome? Examine the economic conditions, competition, and openness to what you have to offer. First Mover Advantage: If there’s no one else with a similar product/service, you’ll enjoy what is referred to as “first mover advantage,” or FMA. In the world of music, this usually is attention (from press and fans) for doing something new or different. For example, Elvis Presley gained FMA for his unusual style and gyrating hips, “Weird Al” Yankovic for his satiric songs in a time where few were making careers out of parodies, and DJ Kool Herc is often known as the father of hip hop. While you don’t always have to be first in a market, it certainly helps – nobody wants to known as the act that copied someone else. Target Audience: Who is the target audience in this market? What are their interests, habits, dislikes? How will you reach this audience? Touring: Most musicians try to break into new markets through touring, with the idea of playing in new cities and venues as a chance to build an audience. Often referred to as “paying dues,” the number of shows per year and number of cities played is still considered a standard in the industry by which most artists are measured. When you’re submitting to major festivals, record labels, booking agents, or other professional opportunities, most (if not all) will evaluate how often and effectively you are touring. Media Play: When radio, TV, or internet media broadcast music, it’s usually an effective way to get exposure in other regional markets without even performing there. These days, it’s becoming more common for music media to expand the type of genre that they play or cover (radio, tv, and internet). Also, with the popularity of Internet radio or video sites such as YouTube, it’s easier than ever to get media play in front of new audiences. Years ago, it was popular for record companies and magazines to give out compilation CD’s to bring exposure to many different artists. Some magazines still offer this by charging bands to participate on a CD that is given out with the magazine, though it’s much less popular now. Finally, another way of getting media play outside of one’s audience is by having someone else cover or remix the song. Sometimes artists collaborate on projects together through co-writing songs and guest appearances as well. Press: Getting unconventional press coverage (outside of your genre, region, etc.) 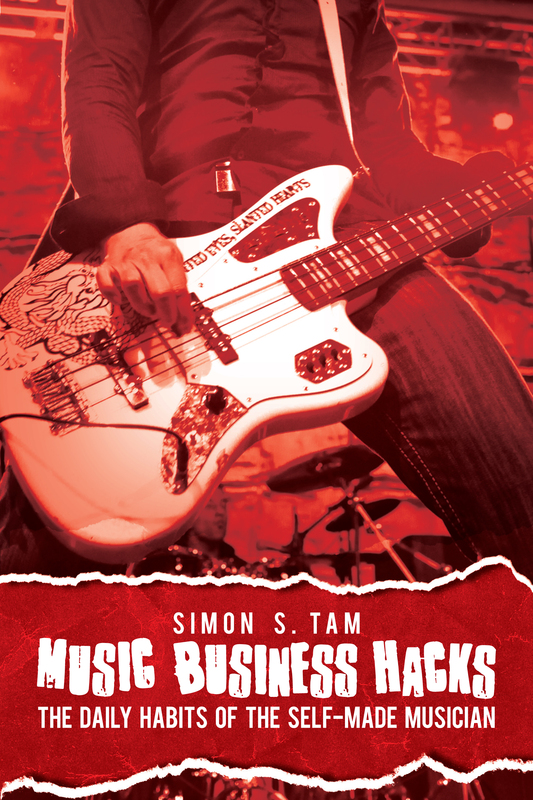 is another way to expose your band to a new audience. This is usually achieved when something is particularly noteworthy. Note: this is different than growing an audience in your current market(s) that you are working for, which is why for the press to be interested, it needs to be something press-worthy in a manner that interests that audience. Sometimes it involves scandal. Word of Mouth: Fans usually don’t fall neatly into categories or markets, but they often have contacts that may fall outside of a target audience. The most enthusiastic fans will often be the first to begin sharing outside of the market – telling friends in other cities or who have other interests. Advertising: Those who have a marketing and advertising budget can reach new markets by buying ads (or sometimes media plays) in other markets. Marketing in Unexpected Places: When you really understand the target audience of a new market, you can find ways to market to them in way that most musicians don’t. An easy way to do this is to focus on specific interests, habits, or other behaviors. For example, piano-rocker Matthew Ebel began playing at furry conventions (a subculture involving animal characters with human traits) and found an energetic, excited audience who immediately loved his quirky music. Playing just one of these events opened the door to many more across North America. Responding to Controversy: If you’re able to write a quick, clever song about a hot topic, you can often get quite a bit of press from doing so (especially if you’re one of the first to do so). For example, there was a huge controversy over someone making racist comments in a YouTube video titled “Asians in the Library.” Rather than responding with anger like most people, singer-songwriter Jimmy Wong wrote a snarky song in response called Ching Chong. The video immediately went viral, getting millions of views and national TV interviews, and helping launch Wong’s career. Sharing Your Expertise: You probably have interests, skills, or experiences as a musician that could be shared with audiences outside of your own audience. For example, I often respond to calls for interviews looking for world travelers. When I interview as a professional musician on behalf of my band, they’re always happy to print our name (and usually a link). It’s even better when I can share an amusing story or interesting factoid. We’ve received press- and new fans- from exposure in Travel & Leisure Magazine, USA Today, Huffington Post, and more simply from this. Strategic Philanthropy: Connecting with a cause that you are passionate about can help you reach an entire audience. For instance, the artist Jon Davidson often performs for many charities, including at the American Cancer Society’s Relay For Life events throughout the Pacific Northwest. His dedication to the cause has made many new fans who participate in these events – fans who otherwise would have never heard his music. Whatever you decide to do, just make sure that it fits with your goals, will provide a return on your investment, that it is focused on the target audience, and that you use some creativity in the process. I’ve always been curious how to determine if a new market isn’t worth it for doing shows. There’s a few cities I’ve felt I would just be better off never going to again, no matter how strategic they are for travelling between two other markets. Then again, there were places I was about to give up on after years of playing to finally get “in” and get better shows. There was some invisible line that somehow got crossed. Excellent post! I look forward to the book.